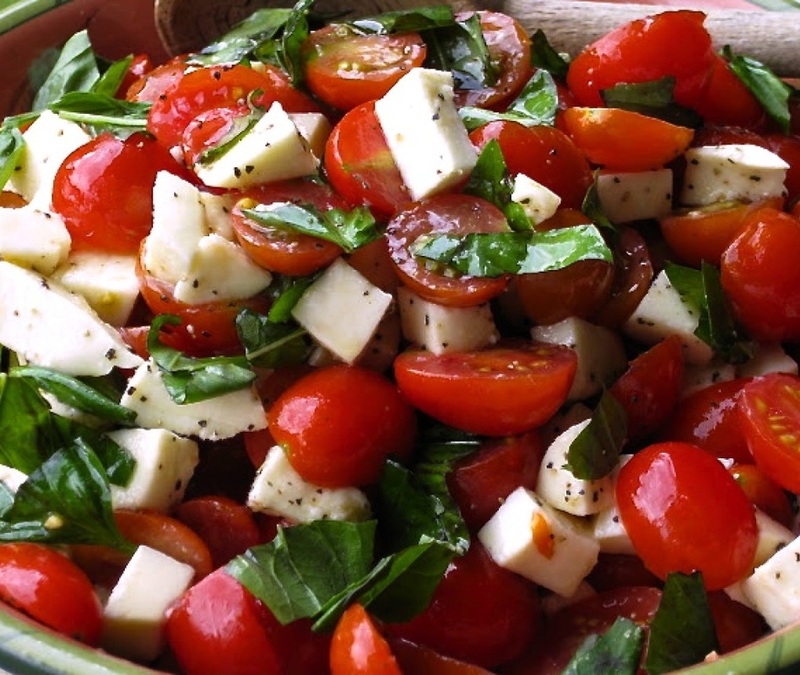 Toss together the tomatoes, mozzarella, olive oil, and balsamic vinegar. Tear the basil into large pieces and toss into the salad. Serve immediately (can be refrigerated to serve a little bit later too).